Are you thinking of watching a movie with a couple of your friends? What better place than your home! With the ultimate comfort and privacy. But how to watch a movie on a television? How about watching a movie in your backyard or just go to a drive-in theatre is the perfect for spending evenings like this. Haven’t you always wondered about the movie night with your friends with the party mood, always isn’t it? 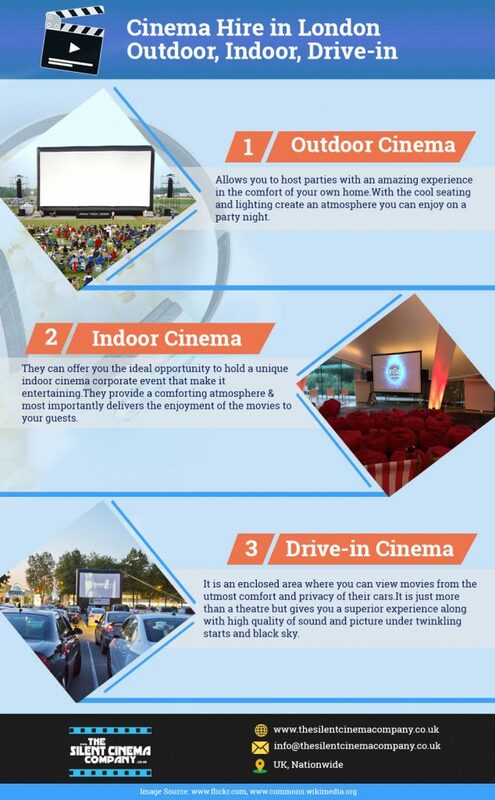 What better option then outdoor cinema hire which is perfect for your backyard. Sometimes you just don’t feel like watching a movie in the theatre, so what just drive in to the drive-in theatre and enjoy your personal, private and happy space sitting in the car itself what could be more comforting than this. Outdoor cinema hire could prove to be a blessing when all you want to do is have fun with your family gatherings on a weekend or just hosting a party for friends. If you would like to know more about inflatable cinema hire in London, get in touch with us today. 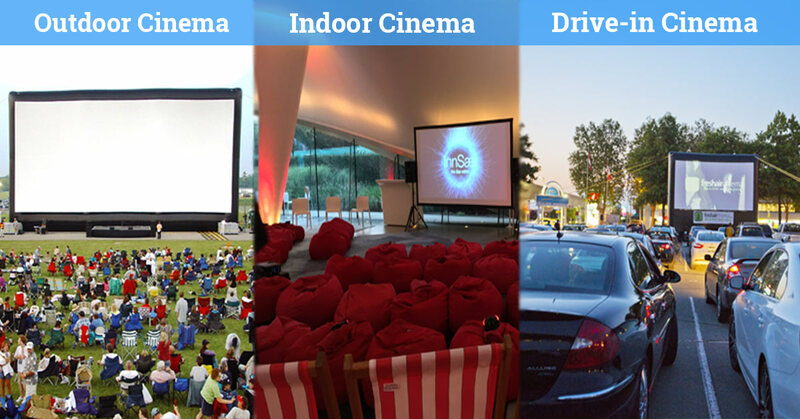 The Silent Cinema Company is a leading & trusted provider of outdoor cinema hire services around London. You can also choose from our other offerings that include indoor cinema hire, drive-in cinema hires along with deck chairs, beanbags, lighting, food stalls, staging, tickets and bracelets.